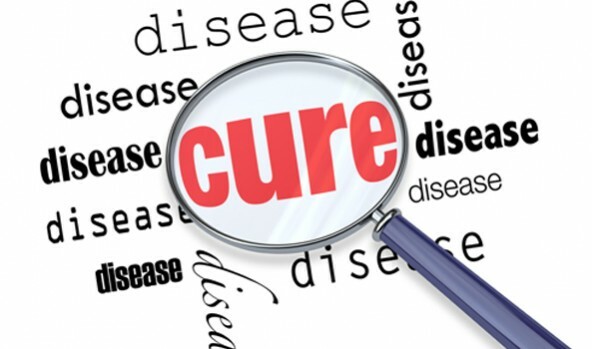 There have been some significant medical breakthroughs in multiple chronic disease states. However, the sobering truth in healthcare is that cancer lags behind - according to the Center for Disease Control and Prevention. From 1950 to 2007 (most current data) the death rate did not change much (only an 8% decline). The question is - why have we not been able to get a handle on this ugly giant? There have been little wins here and there against specific cancers like chronic myelogenous leukemia, a rare type of leukemia that had previously been a death sentence for patients (with the exception of those that achieved a successful bone marrow transplant). My only brother was not that lucky when I personally donated my bone marrow to save his life, even with an identical tissue type, we were out of luck. Since that time, help has arrived and patients have experienced remarkable recovery from literally their deaths beds to a functional life due to the newer drug Gleevec. The drug targets the chromosomal rearrangement that is present in the disease (chromosome 9 that is fused to part of chromosome 22) the clinical response rate to the drug has been over 90%, which is remarkable.Research on the more common deadly cancers - lung, colon, breast, prostate and brain - have yielded a very small impact on the death rates. More people die of cancer than they do of HIV, tuberculosis and malaria combined in some Sub-Saharan countries for instance. It is a concern that affects the global communities at large. Cancer is not something the body "has" or "gets" - it is something the body does. What is cancer? If you have a mass or an abnormal blood test, you are likely to be biopsied to look for a certain pattern or a determination of normal or abnormal. A great analogy I read was to consider a plastic water bottle as a normal cell. If a result comes back that the water bottle is deformed, crushed or sunken in, it is declared and abnormal cell, or cancer. Not so scientific is it?All of us fear that our body has failed us and has been struck by cancer. The most unbelievable part of cancer is the very nature of this beast; it's self generated in the same sense that our own body has gone awry. There is no outside invader or foreign organism making it contagious, it has a path of its own and a cellular makeup completely different than ours. With cancer, something in our defense mechanisms breaks down, throwing off our checks and balances and triggering a cellular dysfunction that grows. Many people think cancer is a modern disease with the industrial world of pollution, fast and processed food, and environmental toxins all being the blame for increased cancer rates. Truth be told, cancer is as old as the human race and has been documented in ancient history. 2400 years ago (the bronze age) there had been a discovery in Peruvian Inca mummified remains, that showed an undeniable sign of melanoma. Findings from the years 3000 and 1500BC describe syndromes consistent with the description of cancer. Still other documentation described eight cases of tumors or ulcers of the breast with no cure other than cauterization (using a hot instrument to burn it out). Interestingly, the Egyptians developed different protocols and compounds to treat various malignancies, like barley, castor oil and animal parts such as pig's ear. One of the concrete parts about cancer is DNA or actually unstable DNA. When a cancer patient is treated with chemotherapy drugs, they tend to bind to the DNA causing the cancer to mutate in the genome. This scenario explains why a breast cancer survivor can suffer from leukemia later in life as a side effect of the chemotherapy they received to cure their breast cancer. The trade off was more years of quality life to suffer another form of cancer later on. Many of us are searching for cancer-fighting agents and look for studies and things we can do to prevent cancer. As I explored this topic I was surprised to learn some interesting statistics. Most have heard the recent headlines and health alerts about vitamin D and how the deficiency can cause an increase in bone diseases and cancer risks along with many other associated claims. Sales of vitamin D supplements in the United States have skyrocketed the past few years along with the fastest- growing test on the pathology laboratory charts: the test for 25-hydroxyvitamin D (the a specific vitamin D metabolite in the body that indicates someone's vitamin D status). New trend. Are we really having an epidemic of vitamin D deficiency? Let's take a look at some other studies recently that don't seem to get the spotlight as much. "Vitamin D Fails Osteoarthritis Test: In a two year study Vitamin failed to reduce pain and or slow progression of joint damage in people with osteoarthritis..." (WebMD Health News); or "Serum Vitamin D concentration and Prostate Cancer Risk" (The Journal of National Cancer Institute). The study concluded that vitamin D was associated with an increased risk of more aggressive forms of prostate cancer. So the question here is , the people found with cancer that have low vitamin D levels can be looked at in another way, that perhaps the cancer was causing the patient to have low vitamin D level verses the increased cancer risk due to low vitamin D levels. Another interesting fact that was astonishing to me is that numerous studies have shown no benefit of vitamin D in cancer patients. One study in particular in 2007 when giving patients with advanced forms of prostate cancer a form of vitamin D caused an imbalance of deaths between those given a placebo. The Vitamin D patients outpaced the placebo group by what appeared to be accelerating death rates. What I went on to read was if vitamin D can nourish a healthy cell to help it's development, then isn't it reasonable it could increase the growth of a cancerous one? So really at the end of the day, many statistic and rages that increase a vitamin manufacturer's sales or lab sales or an increase epidemics should be viewed with caution. I look forward to the study of Proteomics that appear to have promising research to help conquer the ugly giant once and for all. Jennifer Kingsley-Wilson CEO, ARMSRx, LLC and ARMS, Inc.
Jennifer is the founder and CEO of ARMS, Inc. founded in 1991, as a health benefits product development company and was the first U.S. company to develop a fully-insured, prescription drug carve out program. ARMSRx Pharmacy Benefits Consultants, formed in 2004, is a pharmacy benefit consulting firm whose main focus is employer, TPA, broker and payor representation ensuring reduced drugs costs through plan design, contract negotiation, audits and overall program management. For information about the PreviLEAN corporate program, please contact: Jennifer@ARMSIncorporated.com or (800) 578-9714.